This book describes various processors, designed for affine transformations of many-dimensional figures -- planar and spatial. Designed for students, engineers and developers, who intend to use the computer arithmetic of geometrical figures. 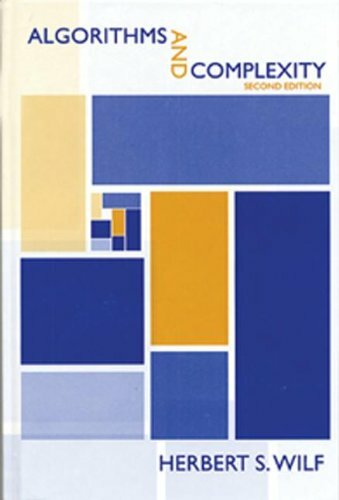 This book is a concise introduction addressed to students and professionals familiar with programming and basic mathematical language. Individual chapters cover arrays and linked lists, hash tables and associative arrays, sorting and selection, etc. These are lecture notes, homework questions, and exam questions from algorithms courses the author taught at the University of Illinois. It is assumed that the reader has mastered the material covered in the first 2 years of a typical CS curriculum.